Diane Guerrero was spotted heading out of the Good Day New York studios yesterday(July 17th), following her appearance for the promotion of her new book 'My Divided Family'. 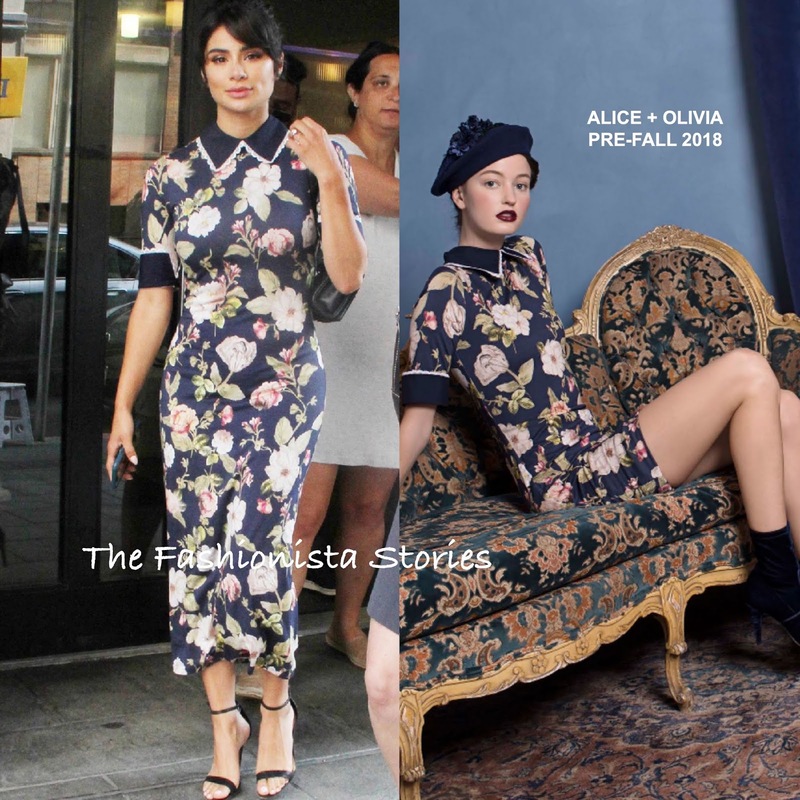 For her appearance, she wore the ALICE + OLIVIA PRE-FALL 2018 'Delora' sapphire blue floral midi dress with a built-in shirt collar, cuffed, three-quarter sleeves and white lace trimming. This cute floral number can easily be transitioned into fall and it worked for her morning interview. A complimentary up-do, pink lip and ankle strap sandals finished up her look. You can get Diane's A+O dress at via the designer's website HERE and at NEIMAN MARCUS, FARFETCH & SAKS FIFTH AVENUE.